The sight of their fuzzy yellow and black bodies buzzing around a picnic table is enough to make even the most stalwart man jump and scurry away. Most people will unhesitatingly lament their displeasure with bees and the possibility of being stung, but these tiny, buzzing creatures carry the weight of the world on their backs. We should all give them hearty thanks, because, without bees, we would have ceased to exist long ago. Humans eat their honey, use their wax, and rely on bees to help our food grow, benefiting us all. We are taught from a young age that bees carry pollen from plant to plant and flower to flower in a process called pollination. In fact, bees are responsible for pollinating nearly 85% of all food crops for humans, as well as numerous crops that grow the food fed to cattle. Without the honeybee, our options for nourishment would be seriously lacking, and there has been research conducted that predicts environmental collapse should the honeybee no longer exist. Honeybees essentially flit from flower to flower-spreading pollen from one plant to another. Some of the pollen collects onto the furry legs of the bee and will be later given to the young bees for sustenance. Bees use pollen for food, which is converted into energy, allowing the bee to fly for extended periods in order to gather and distribute the pollen. Due to the bee’s attentions, crops thrive and produce fruit, vegetables, flowers, nuts, seeds, beans, and much more. Simply put, without bees, many plants would have no way to reproduce and die out. Bees play an important role in the life cycle of most plants and flowers. Interestingly, there are dozens of species of solitary bees that have evolved to pollinate a single type of plant, and coexisting in unison with the lifespan of that plant. Without that specific species’ devotion to that plant, the plant would cease to reproduce and become extinct. Unfortunately, a large percentage of bee species have died off each year due to a variety of factors, including disease, parasites, pesticides, and the destruction of their main food sources. As more species die, we will lose crops and, eventually, certain plants will become extinct without bees to do their part. The fate of bees can also indicate when environmental dangers exist. Mass bee deaths have been past indications of the use of toxic chemicals, or severe climate changes, giving scientists further proof of how fragile our environment really is. Honeybees have the distinction of being the only insect that produces a food consumed by humans. Honey is natural and has a long list of health benefits due to its antibacterial properties. Produced without chemicals and human interference, honey is a healthier alternative to the high fructose corn syrup that has invaded sweets and processed foods in recent years. As purely a food item, honey can be drizzled over dessert, added to tea in lieu of sugar, or used in a baking recipe. However, eating honey is not a modern development. Civilizations have been consuming honey and using it for medicinal purposes for centuries. There are Egyptian hieroglyphics depicting the harvesting of honey from a hive and paintings throughout the ages that revere the honeybee and hold it in the highest regard. Honey can be found in many foods and drinks, but there are also hundreds of health and beauty products with honey as a main ingredient. Centuries ago, we began using honey for more than just nourishment; we began to understand that honey had healing properties. Honey has been used as a facial revitalizer for hundreds of years. It is believed to clear the skin and soften wrinkles. 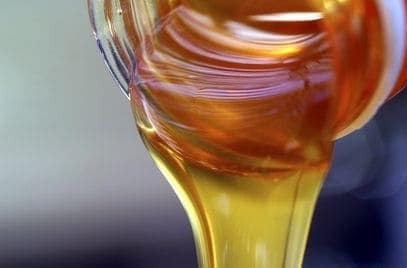 While these claims are not always accurate, there are many honey-based beauty products on the shelves that have been shown to be beneficial to the user. Most people are familiar with beeswax candles, but beeswax has been used for other interesting purposes as well. Beeswax can be found as an ingredient in furniture wax, beauty products, lip balm, chewing gum, and the waxy coating on rounds of cheese. A secretion of the glands of worker honeybees, it is used to create the honeycombs that house honey. Humans have found so many uses for beeswax that it is a hot commodity in the world of trade and commerce. Beeswax candles can be found in almost any store that sells candles, but beeswax candles are popular to make at home as a hobby. Candle making with beeswax goes back to the 6th century A.D., but our ancestors found other uses for the product long before we did. Melted wax from the candles would often be added to cosmetics, used to coat thread while sewing, dripped onto correspondence to seal the message, and even as a primitive dental filling. Beeswax is often still used as a protectant for some foods and as a sort of natural preservative in products that may spoil quickly. Most often, beeswax is added to products to increase the shine resulting from the use of the product. This is commonly seen in polishes and hair products. It’s important to point out that honey is not a cure-all, but it has certain benefits to fight off some illnesses, or to alleviate the symptoms of some ailments. Honey and beeswax contain a byproduct called propoils that is an anti-bacterial agent. This agent can help fight bacteria and infection, which is especially useful for treating wounds. Honey has also been found to soothe sore throats brought on by the common cold. There is also some support in the theory that exposure to honey at a young age may help children combat allergies due to the presence of pollen in the honey. True or not, honey has earned a reputation for helping humans, and we would not be able to reap these benefits without the honeybee and its hard work.